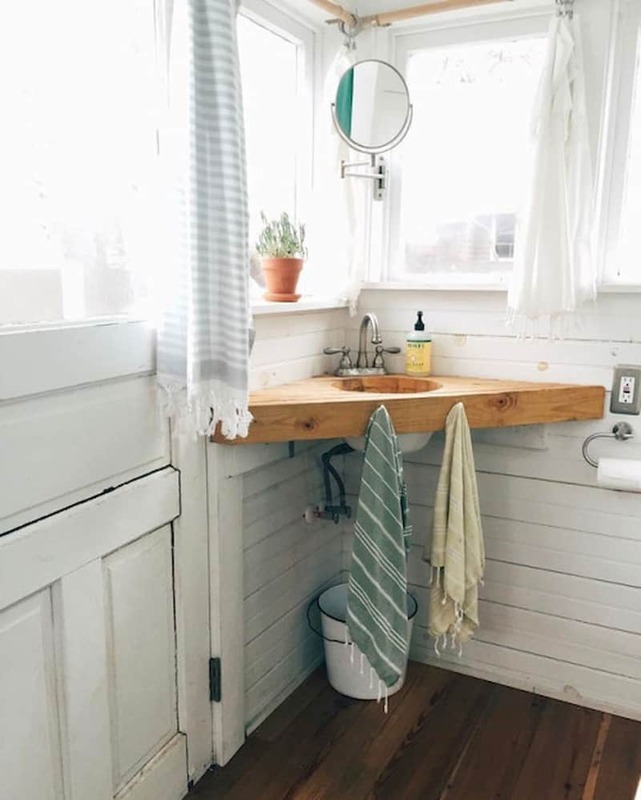 Our collection of tiny bathroom designs is absolutely adorable! 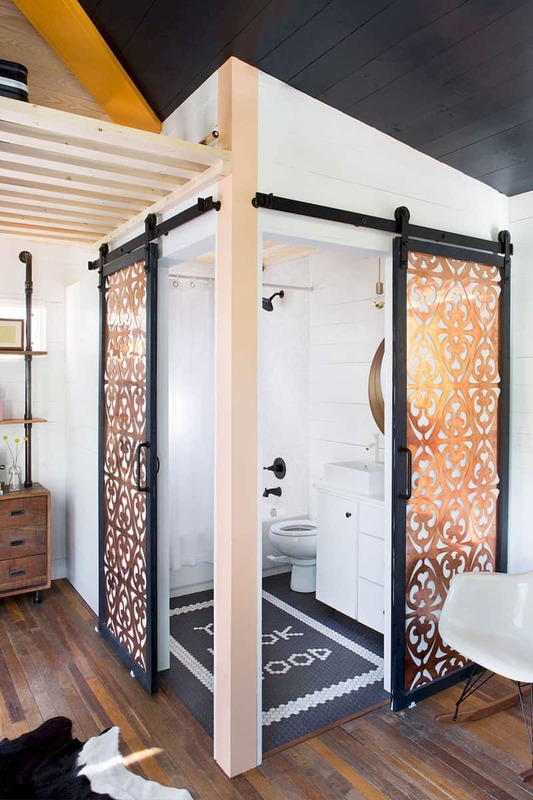 Covering a lot of styles – from romantic to glamorous and from fresh to exotic, the selection depicts functional, budget-friendly restrooms. In small places, you have to organize everything carefully. Furniture, paints, lighting, accessories. They need to be clean, light, open. Moreover, it is a good idea to rely on slim/ thin items of furniture. 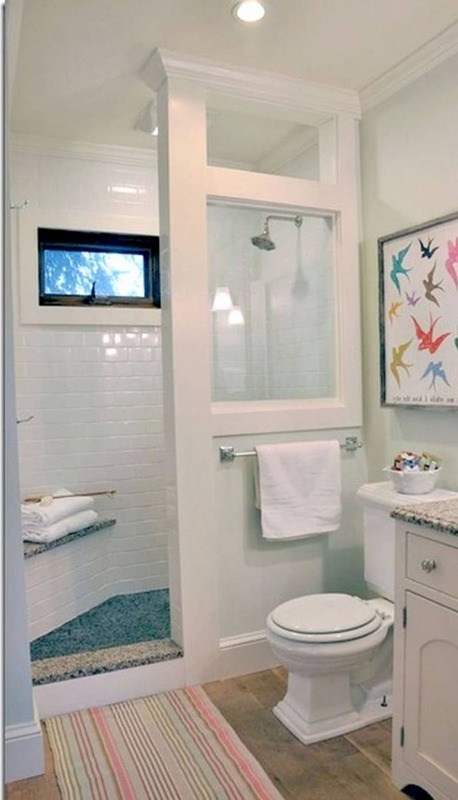 Just to be sure you can easily introduce them between niches or adapt the space to their sizes. For example, I love the tall cabinets made of light wood. 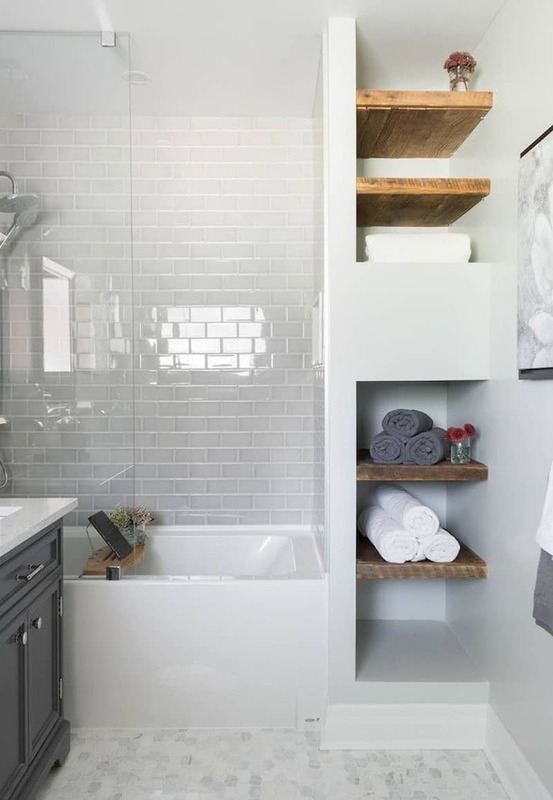 Perfect for towels ( btw, click here to discover creative ideas for towel holders ), soaps and magazines, they accommodate effortlessly and offer a lot of space. 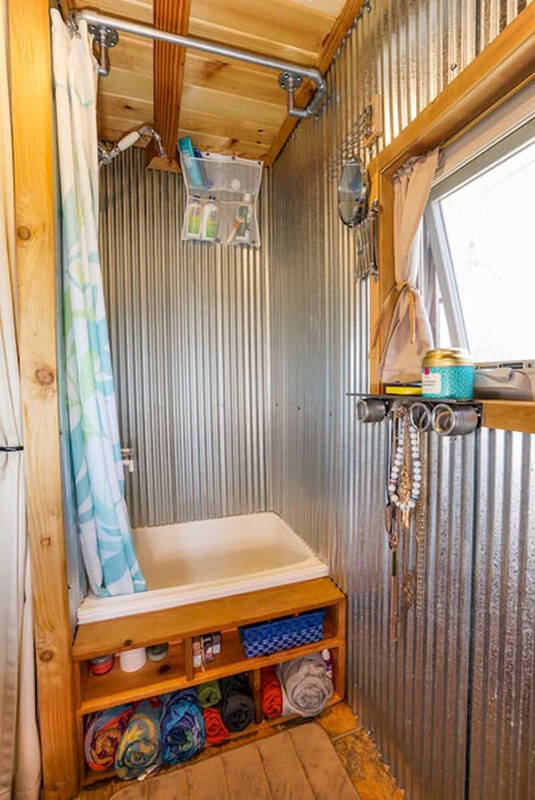 Also, baskets and hanging containers have become the stars in tiny bathroom designs. Use them for cosmetics, towels or cleaning products. 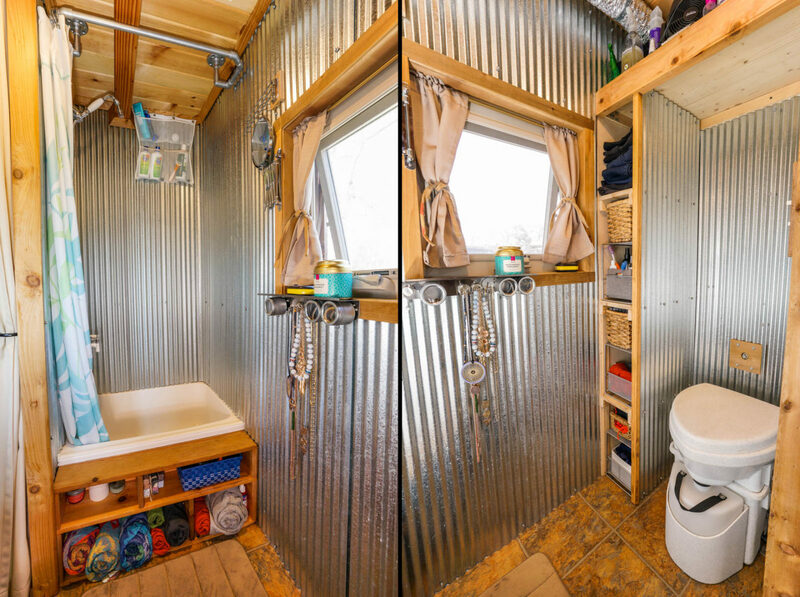 Explore the collection of tiny bathroom designs below and tell us which is your favorite spot! 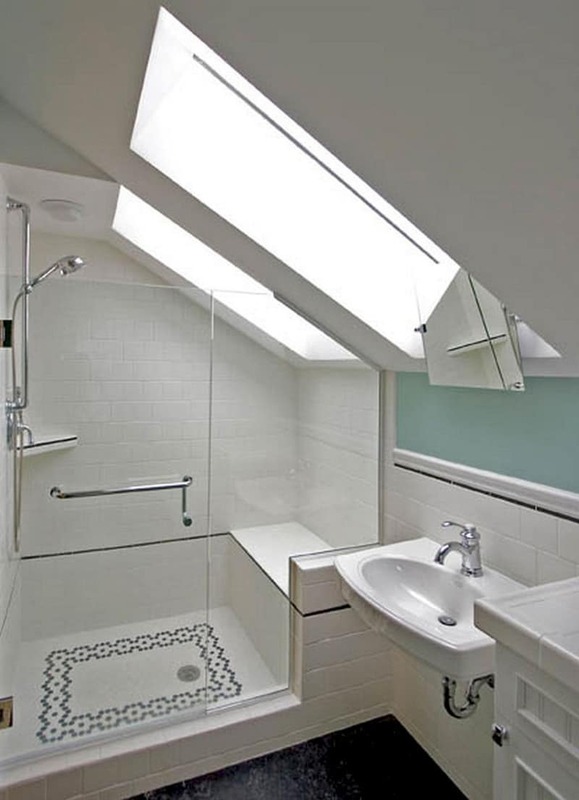 Attic bathrooms feature romantic niches and extremely interesting rays of light. I absolutely adore them! 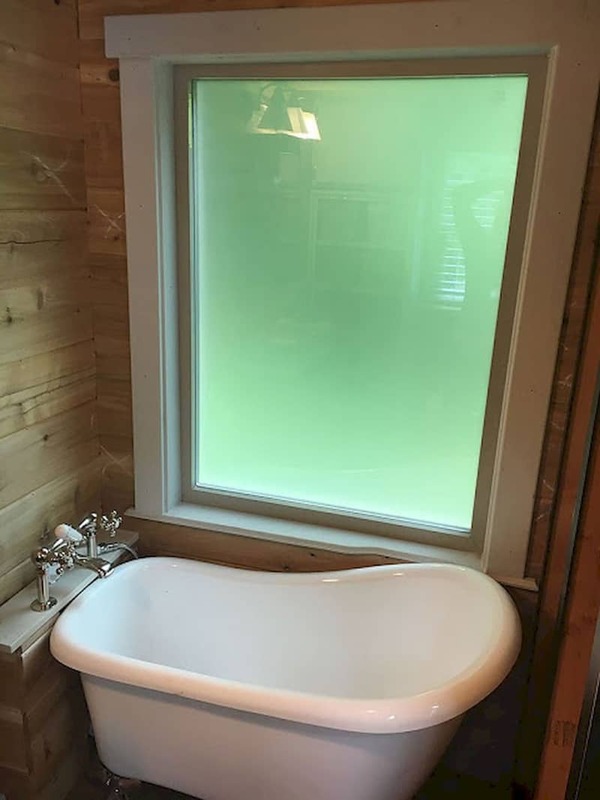 Inserted under the window, the showering area is a square podium with a bench, protected by a transparent glass parapet. 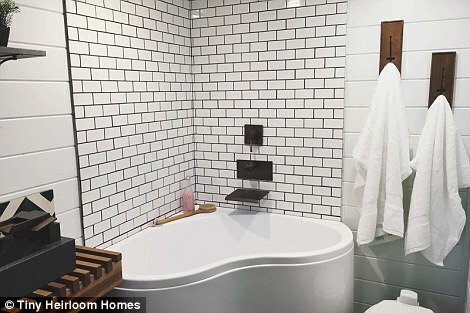 Aligned horizontally, the white metro tiles make space look bright and tidy. In case you love patterns, you can try a geometric drawing on the floor. Use black tiles for variation. 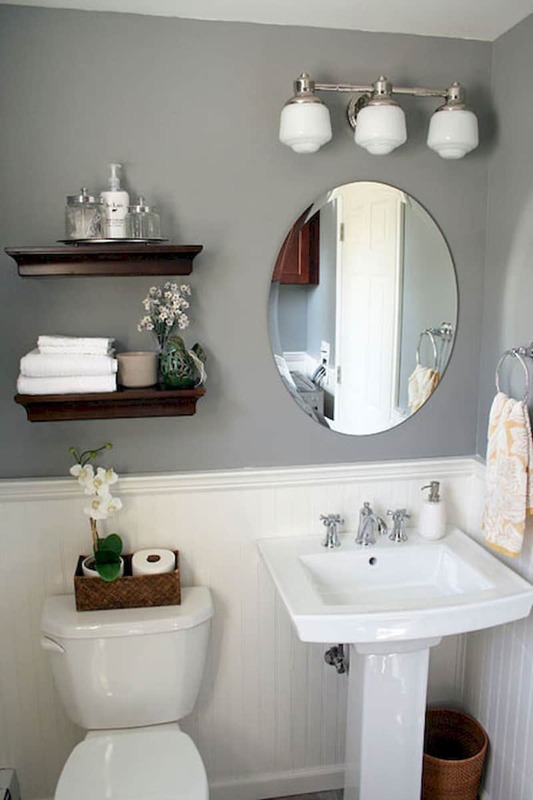 Also, try big mirrors to make space look larger. If space permits, let natural light come inside as much as possible. The picture above recalls a charming countryside residence where you can relax with no worries. The first that gives me this impression is the use of wood. Cozy and light, wood makes space feel warm and relaxed. 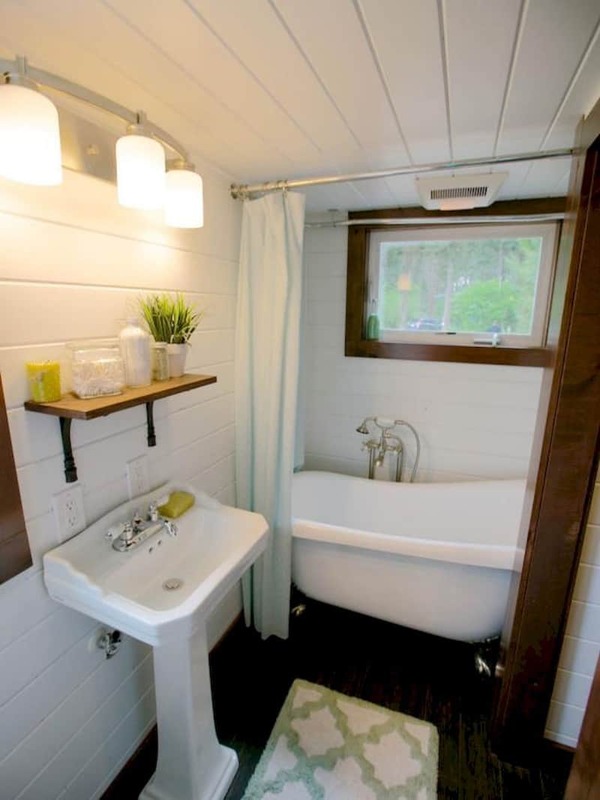 Moreover, in tiny bathroom designs, if you arrange the boards vertically, you obtain a visual effect of highness. 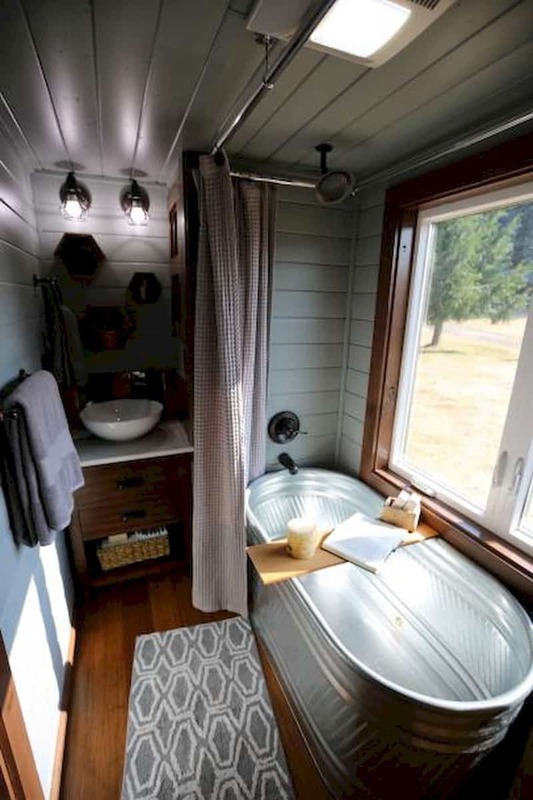 By placing the tub by the window, you will enjoy beautiful views and also get a feeling of openness while bathing. Do you need catchy points around? Also, fix lighting spots here and there to create interesting focal points. 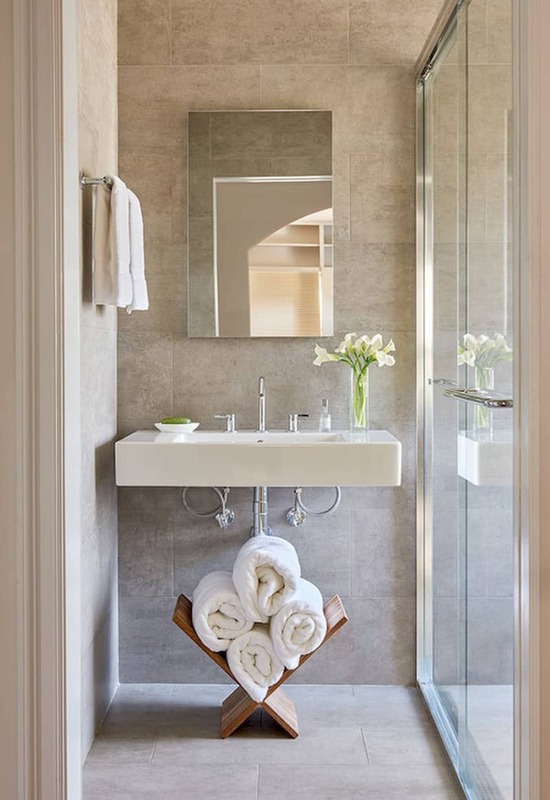 Click here to discover more inspiration about interior bathroom design ideas. 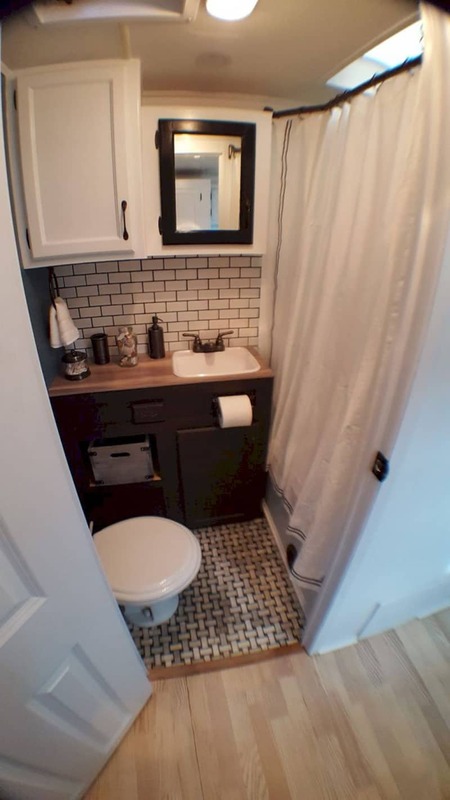 Dealing with both lack of time and space as a cool urbanist, I am looking for ideas that make living in a small apartment enjoyable. 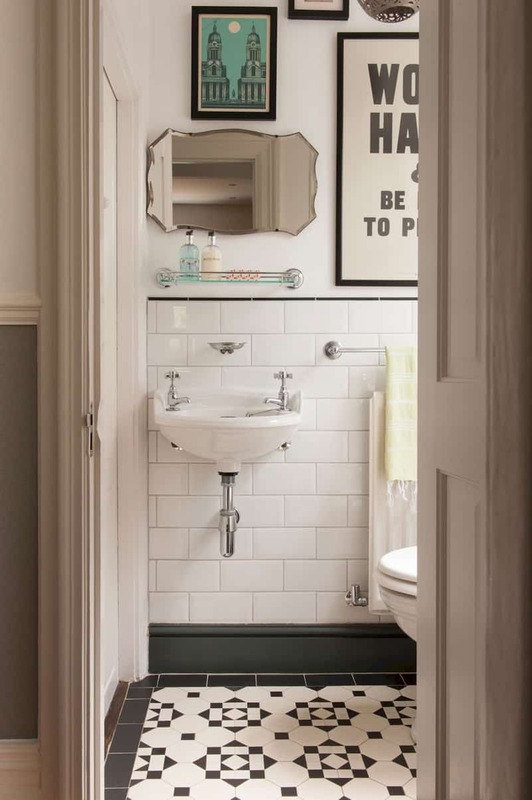 Our collection of tiny bathroom designs feature attractive interiors. Fully equipped, they offer you bright ideas of how to build the general set-up. Moreover, a bunch of appealing accessories adds personality to the places. 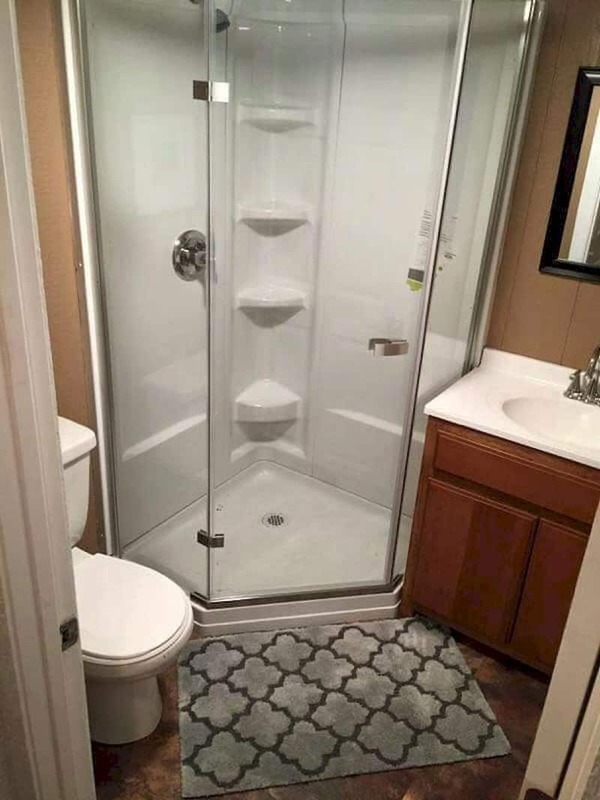 Looking for stylish shower doors? 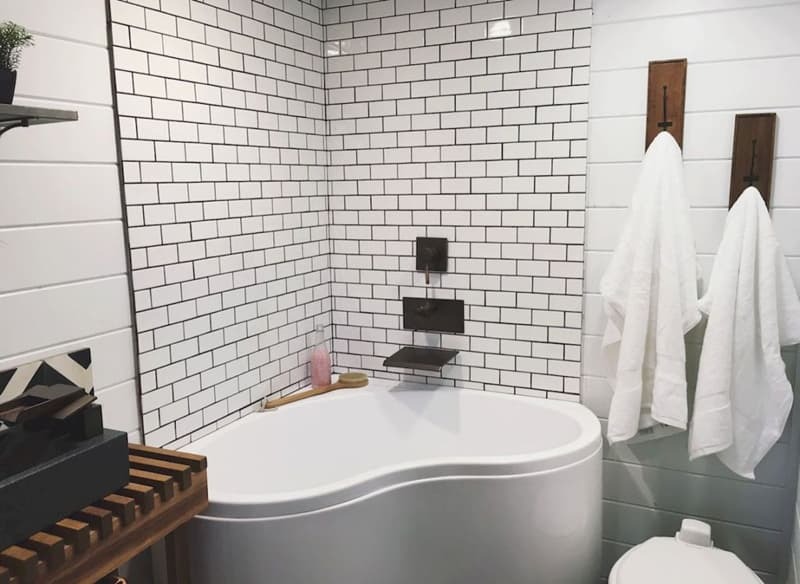 Looking for the latest trends in bathroom furniture? Daring colors add personality to space. 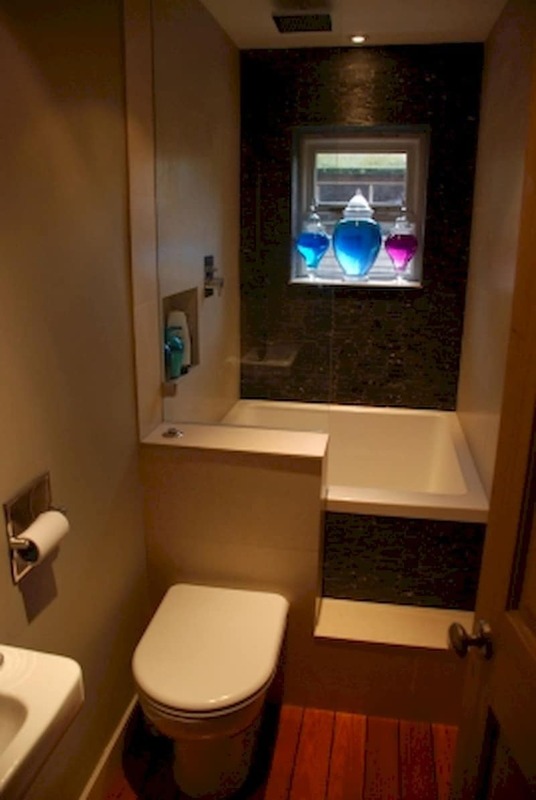 If you opt for purple, red or bright orange, you will obtain interesting visual effects in your bathroom. If so, use them as dominant elements and build the rest around their outcome. 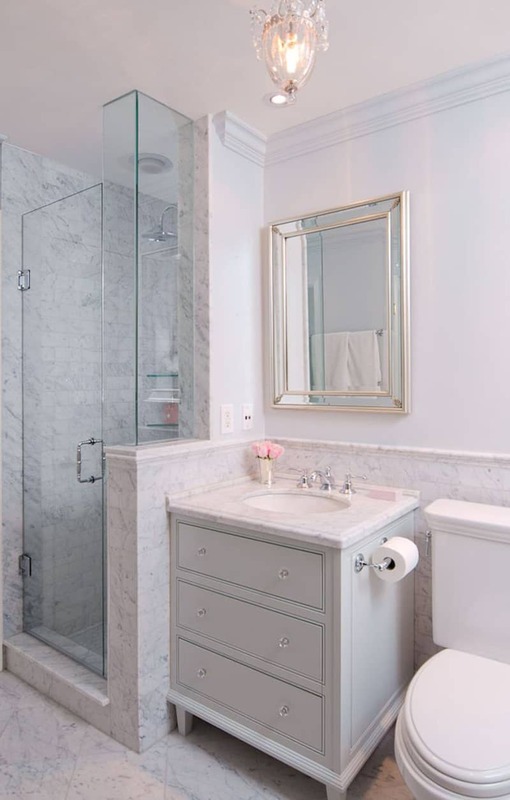 For example, most of the designers opt for pale backgrounds not to make space feel overwhelming. 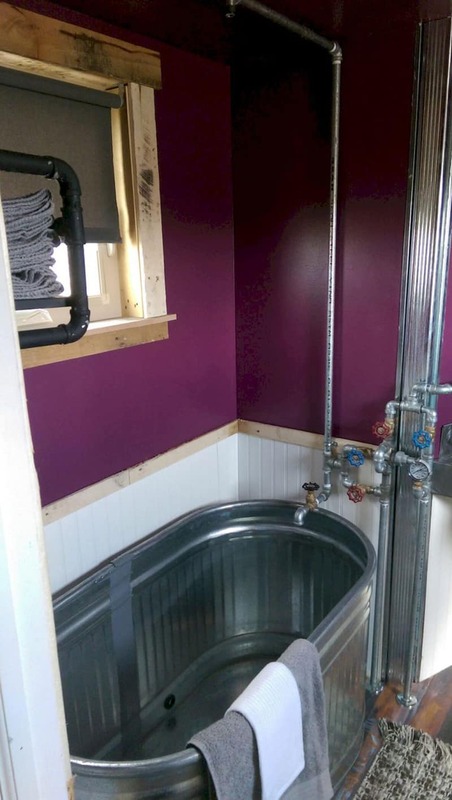 Letting the pipes exposed will add an industrial touch to your space. 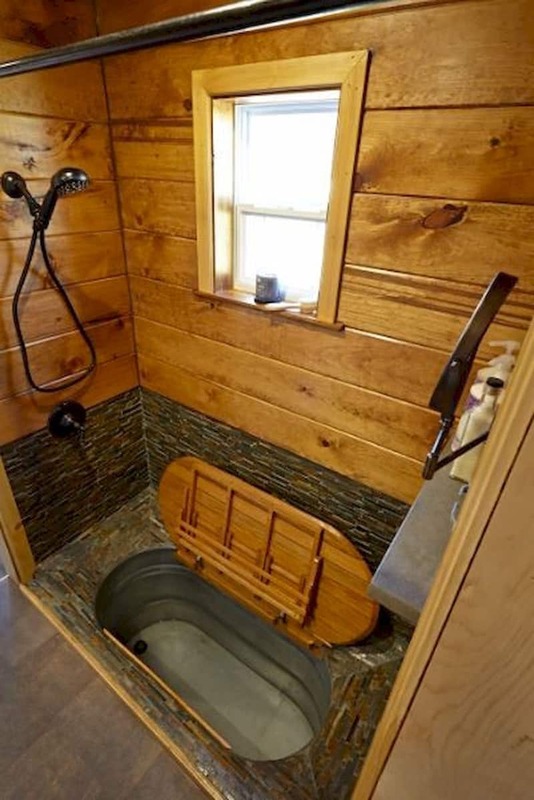 If this meets the style of the elements nearby (sink, tub, sanitary), why not? This is also a kind of transparency certificate your room will obtain with the time. 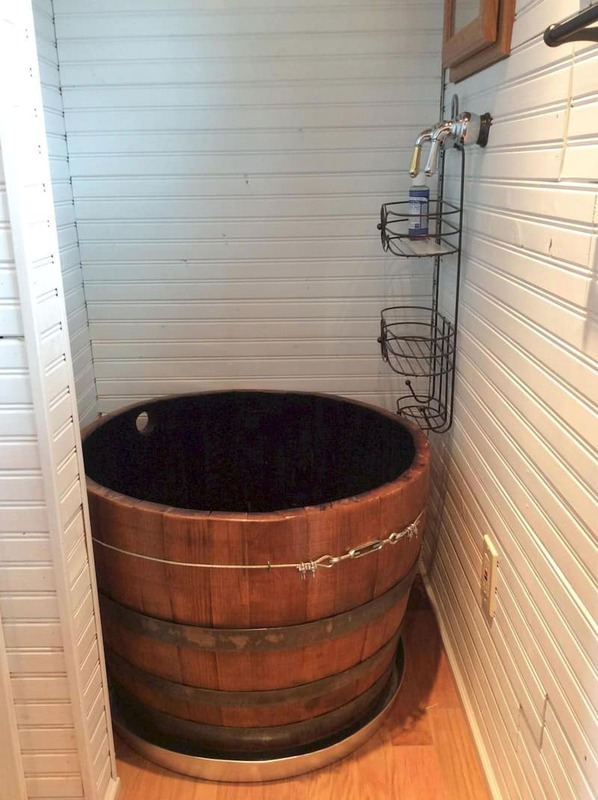 Shower in a barrel? Why not! This is a good way to cool down in the summer. It might sound strange, but this is both interesting and fun. 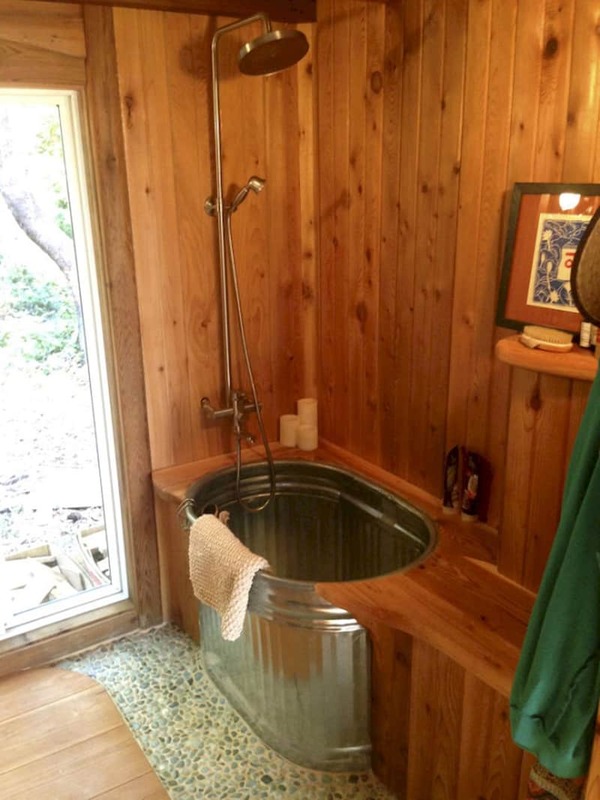 Take a wooden barrel and place it in the showering area. 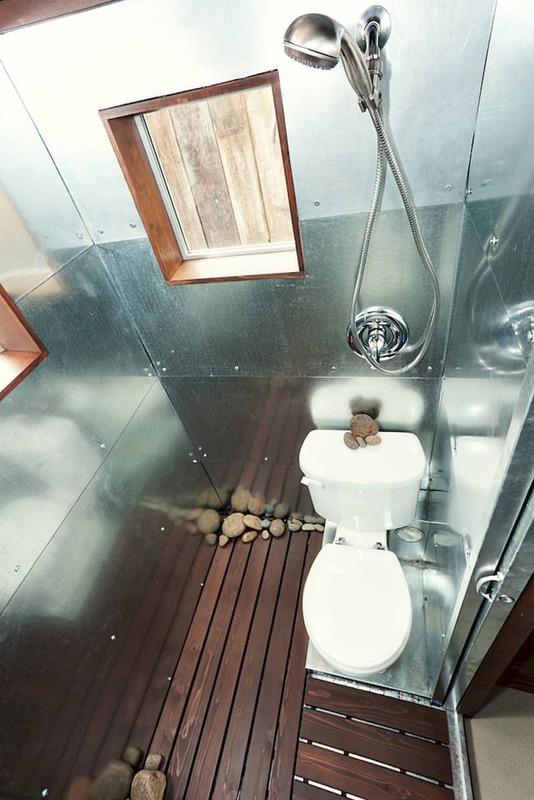 Check its fittings and fixtures so that you avoid water leakage. Moreover, consider adding an extra layer of lacquer/ transparent paint to protect it. 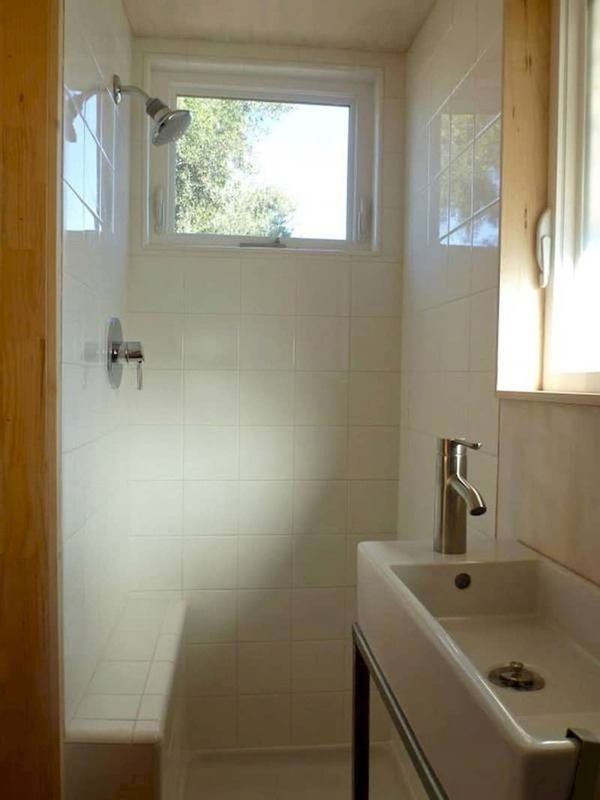 A plastic curtain will keep the surroundings dry and also offer intimacy. As soon as you have the main installation fixed, you will no longer need additional features. 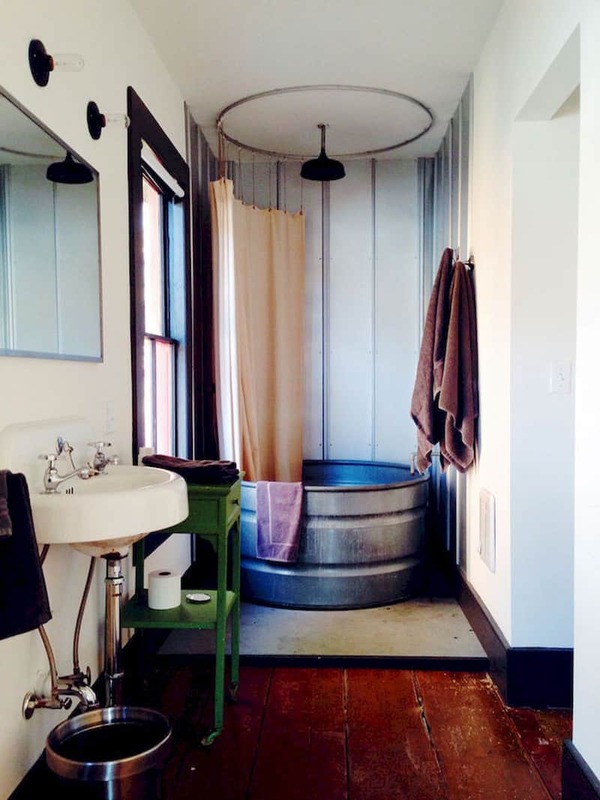 Just dive in the barrel and enjoy a cool shower! 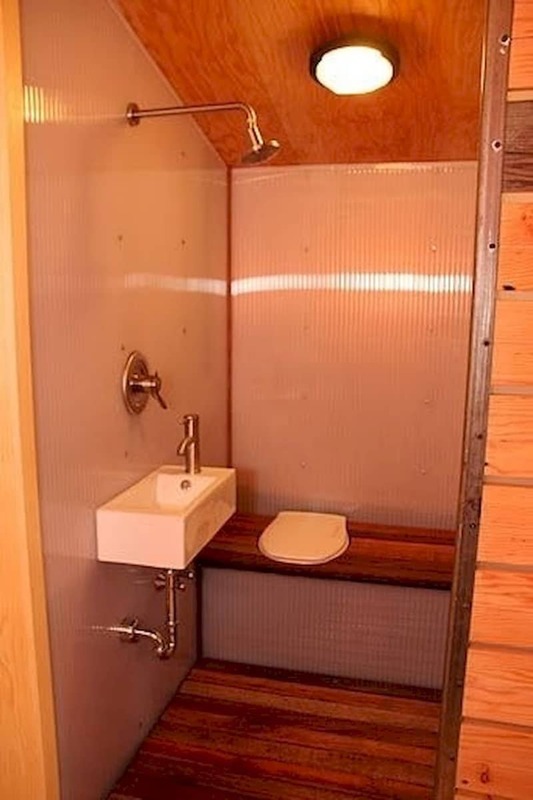 When lacking room, space saving is key. One of the most accessible ways to save space is to pile up the appliances. 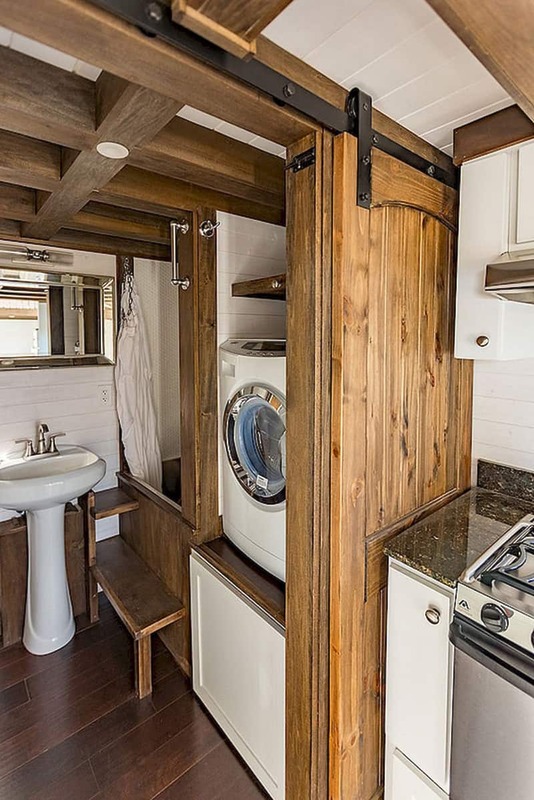 For example, the washing machine can also serve us while sitting on top a closet/ cabinet. 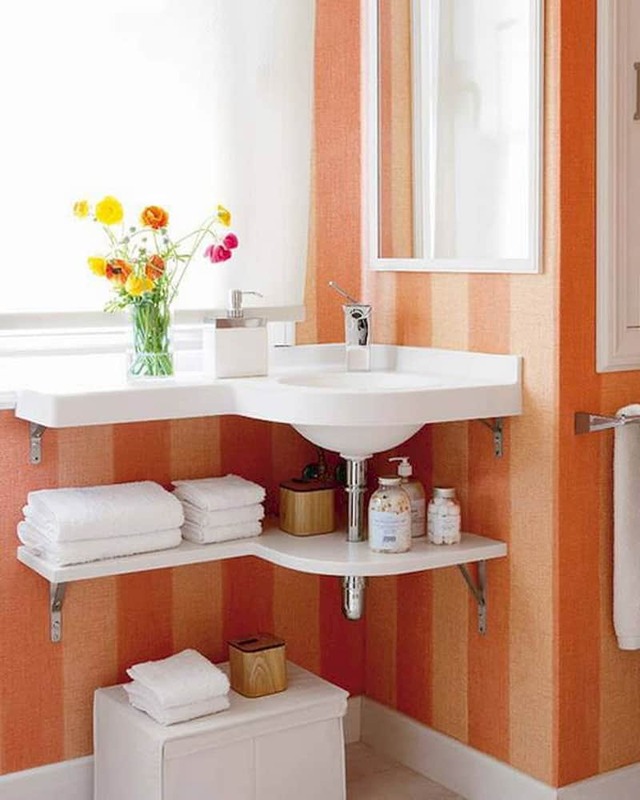 Thus, you can easily access it without bending and save a large amount of space in the bathroom. 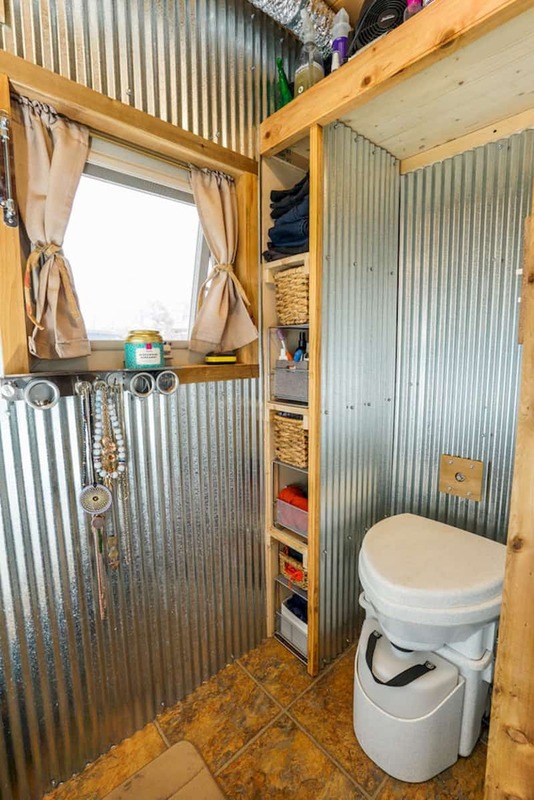 Space-saving seems to be the biggest challenge in contemporary urban cribs. Indeed, you have to find space for everything and sometimes even exceed the limits of your imagination. However, smart solutions are always available to make living better. 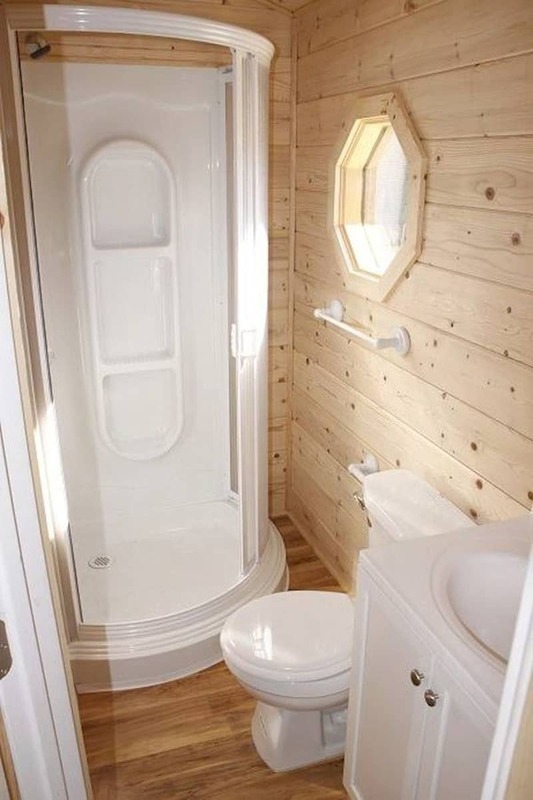 For example, the hallway above was transformed into a functional lavatory (with a shower attached). 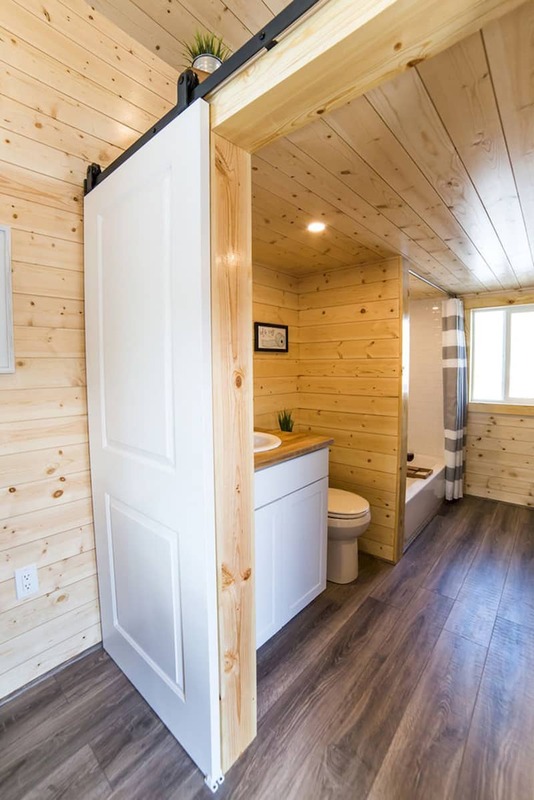 Separated by a wooden wall, the lavatory and the showering area share one open space. 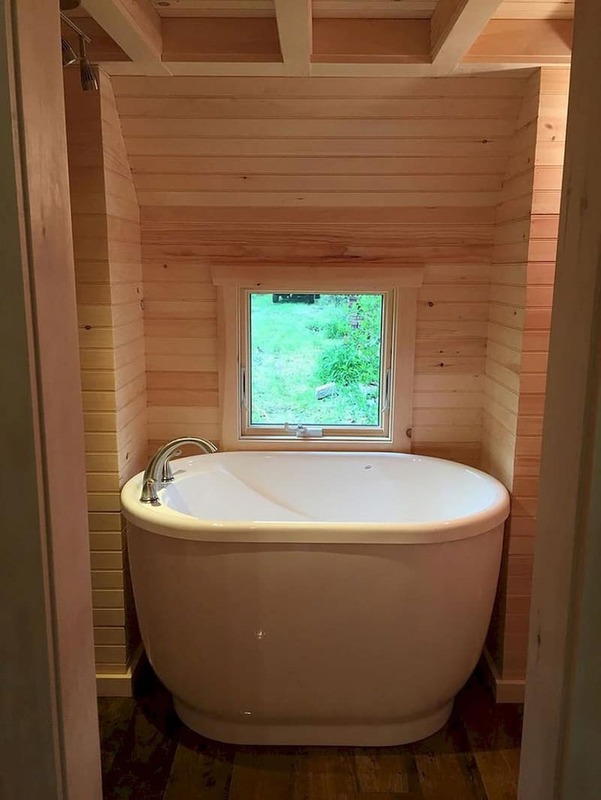 Cozy and really intimate, the room functions as an in-between space. 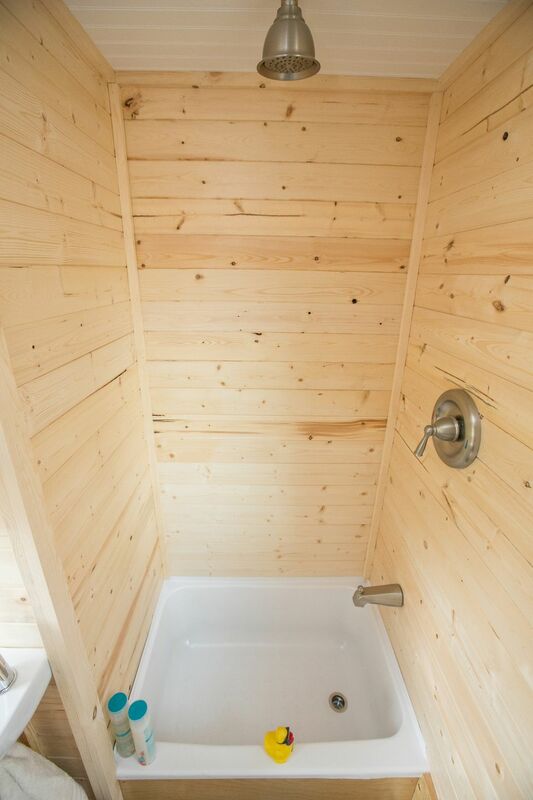 Wood is light, warm and extremely versatile.